During the late 80s, Brian Dunn spent 5 years overseas building farms in developing countries. Having grown up in a family that appreciated good food and drink, Dunn expanded his knowledge and passion for beer during his travels. Dunn eventually returned to Colorado, started homebrewing and went to graduate school. Upon graduation in 1993, when Denver’s craft beer scene barely existed, he set out to found what would eventually become one of America’s most decorated and celebrated craft breweries. Beginning with a marketing study and a business plan, Dunn saw an opportunity in Denver’s Ballpark Neighborhood to brew uniquely balanced, flavorful beers. With financial help from family, friends and a loan from the City of Denver, his dream of brewing commercially became reality in 1994. The brewery started small and in the beginning Dunn was the only full-time employee…brewing, bottling and selling to accounts all in the same day. As the brewery grew, the beer spoke for itself. Dunn’s beers were balanced, flavorful and representative of a lifestyle that is uniquely Colorado. While Great Divide’s ethos may be globally-inspired, our beers are distinctly Denver. Since 1994 we’ve brewed all sorts of exciting beer styles, added lots of brewing capacity and we’ve assembled a great staff. In 2001, we bought our building – which used to be an old dairy processing plant – and set out for over a decade of exponential growth. Join us for a beer at 22nd and Arapahoe in downtown Denver. We do it because we love it – come see how. 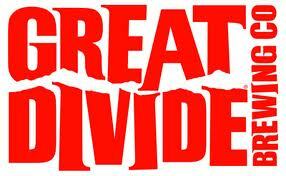 Great Divide Brewing at Reds Alehouse Sept. 18! This is the best possible news that I could have woke to hear this morning, been too long since my last Yeti. Finally, we’re getting Great Divide BACK in Iowa. We did have Great Divide back in the mid 2000’s at least in Eastern Iowa. I could get it in Cedar Falls from a quad cities distributor. I had Hy-Vee special order some cases. Then they pulled out of Iowa but glad to see they’re back! Spent a Summer in Denver and fell in love with craft beer via the Great Divide tap room.